Small IKEA kitchens take a great deal of thought and fresh new ideas to get it right. Don’t be rushed. Take the time to think about all of the things your small kitchen will do and how you’ll move within the space. 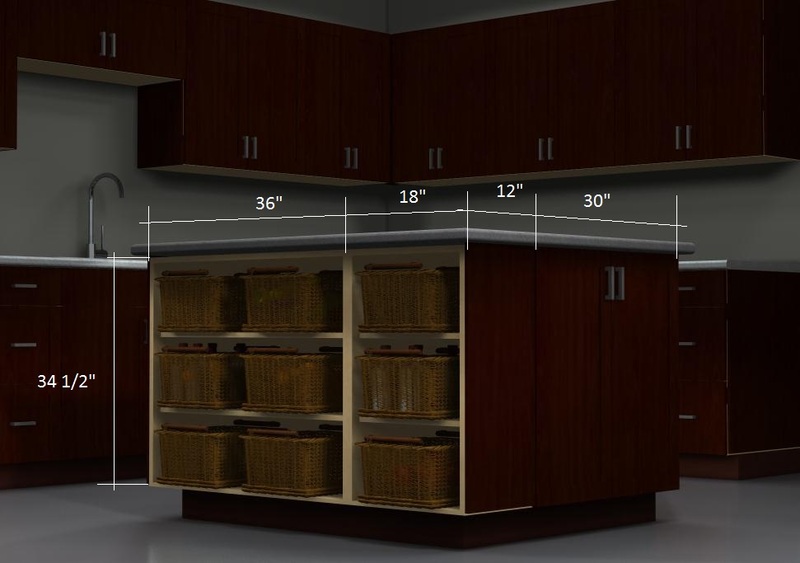 Boost storage and display space in a kitchen by capping off a run of cabinets with open shelves. 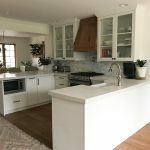 For example, these shelves face the adjoining living room and offer a convenient spot for storing cookbooks without weighing down the kitchen with closed-off cabinets. The open shelving unit provides plenty of storage space without weighing down the kitchen with more closed cabinet fronts. You can use an AKURUM cabinet frame and cut down additional shelves from IKEA 3’x8′ panels. 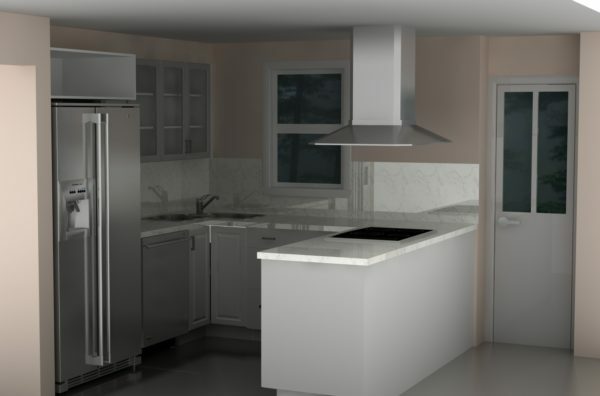 This island is a hard-working area complete with a microwave, sink, dishwasher and recycling center. Door style used: ADEL beech. 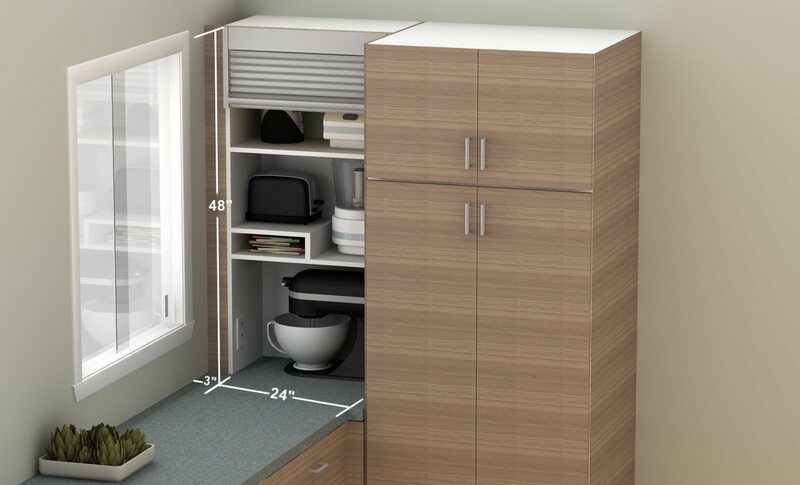 With this IKEA custom appliance garage, you can put corner space to good use! Creative stow-and-go solutions are a must in a small kitchen space. Here, a BEKVAM rolling cart ($60) tucks neatly into this island to offer additional workspace as needed. 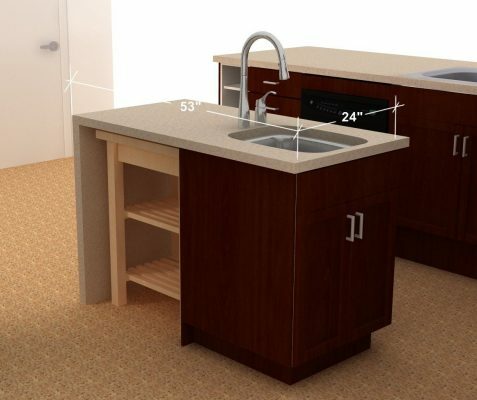 The tiny cart can be wheeled throughout the kitchen to give multiple cooks room for meal prep and staging. A BEKVAM kitchen cart fits under the counter easily. 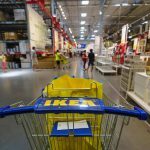 Did you know that IKEA has reduced-depth drawers? Take advantage of those hard-to-plan walkways and still use the available space for storage without sacrificing comfort or functionality. 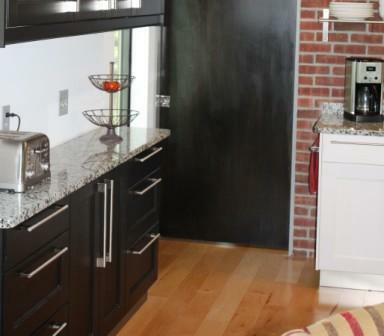 For this tricky walkway, we used 12″-deep drawer bases with RAMSJO fronts in a black-brown finish.